When it comes to the internet, there is so much information out there on website creation. With an extensive collection of information, people begin to form opinions and perceptions. A few of those vocal opinions and attitudes can influence the way people think about things. Opinions can turn to ‘fact’, and suddenly everyone is taking that opinion as gospel. Many may have started out as accurate (or at least with a kernel of truth), but over time they move into a realm of myth! This is the case with websites. There are a lot of opinions out there that are not true anymore. If you are considering building your first website or revamping your current one, you are probably sifting through a lot of information on dos and don’ts. It can be hard knowing where to begin. They don’t have to be. First of all, if website design and development is not your forte, you don’t have to do it all yourself. Outsourcing to a web design expert like Hello Digital is the best choice. Bring us your ideas, and we can discuss turning them into an attractive, high functioning site designed to get your business the best results. If you are working on a tight budget, or aren’t sure what you need yet, then there are plenty of options to get online with a DIY builder. Shopify merchants can access hundreds of free or premium themes, while WordPress users can take advantage of the world-class developer community around the platform. Once you do have the budget and are sure on what functions your website will need, it is worth taking the next step with a web designer or agency to tailor the website around your specific needs. Taking the time and effort to consider how your website works with you to achieve your goals can be an incredibly liberating exercise. Websites are a vital tool for your business. Yes, you will have to pay to set one up, but you will not get far without one. After all, what is the first thing you do when you hear about a new business? You Google it and have a look at their website! A good website is an investment, not an expense! A high-quality website will pay for itself and add a tremendous amount of value to your business. A well-designed site is also essential for building trust between you and your customers. It allows you to showcase your brand and what you stand for, making it easier for your customers to connect with you. 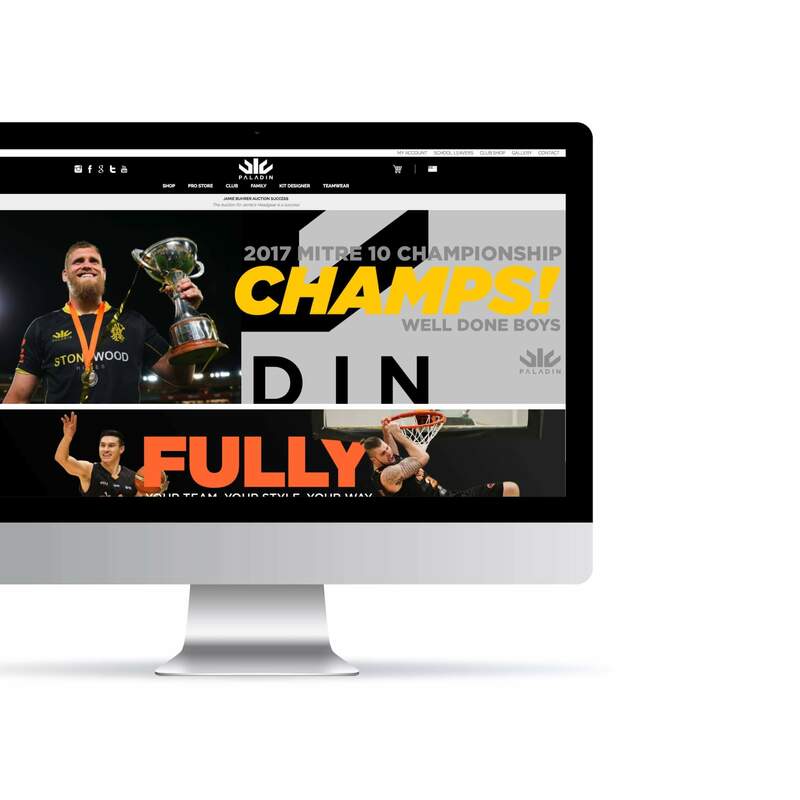 Paladin Sports saw a 10 fold increase in online sales within 10 months of launching their new website with Hello Digital. This could not be any more wrong. Having a website for your business has so many benefits – it’s not just about making sales (although that part is good too!). A website is essential for connecting potential clients to your business, for having all your important information in one easily accessible place, and for building credibility with consumers. Even if you aren’t interested in having an E-commerce function on your site, as many as 97% of consumers will look online before buying local products or services. If you don’t have any presence online, you are going to be missing out on a huge chunk of business. So, get amongst it! A website is never “finished”. The internet is a constantly changing environment, and your website needs to remain relevant. Your site should be updated as required to remain modern and accessible. You should also be able to add new products when they come in and ensure your business information is kept current to provide your clients and customers with the best possible information. Websites are also excellent platforms for communicating with your target market. Instead of having a static page, consider starting a blog page that you can update with regular, fresh content to keep people interested. A website also needs maintenance. There is coding and hosting that deserves a routine check and will require repair or upgrading to keep you online.